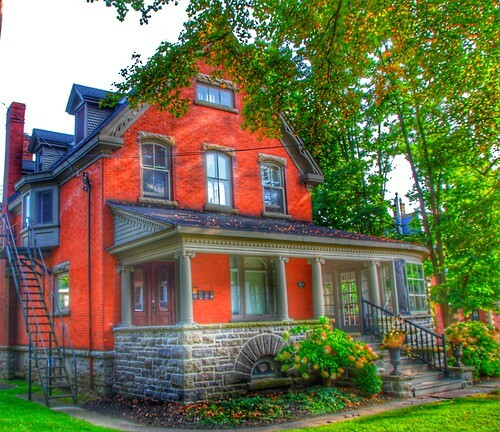 The home of one of Brockville’s most colourful historical characters is for sale. Colonel James Morrow Walsh, one of the nine founding officers of the North West Mounted Police, lived in the house at 207 King Street East from 1884 until he died in 1905. The stately home and its 587-foot-long lot backing on the St. Lawrence River is listed for $799,000. Walsh was in the NWMP for 10 years rising to the rank of superintendent, a close friend of Sitting Bull, a soldier, coal merchant and the first commissioner of the Yukon in 1897, where he was sent to tame the rowdy gold diggers in the Klondike. Walsh, who was born in Prescott, joined the Mounted Police in 1873 and was sent out West to shut down the booming whiskey trade with the Indians. He established a post in Cypress Hills, Saskatchewan, which he named Fort Walsh after himself. It was there that he met Chief Sitting Bull, who had fled north to Canada in 1876 after massacring Custer’s troops at Little Big Horn.